What puts the beneficial in "beneficial microorganisms"? When organic materials such as compost, vermi-compost, manures, or worm castings are present in the soil, microbe activity converts the nutrients contained in the material into a plant available form. 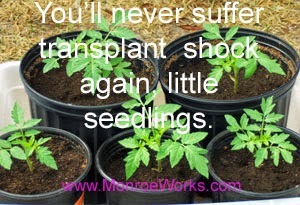 The plant absorbs more nutrition and - surprise, surprise - the plant grows better and faster. It follows, then, that the higher the number and the higher the quality of microbes, the more nutrition is available for the plant and the better the plant grows. Another "Mode of Action", or MOA, of microorganisms is stimulating growth of the plant and root. There are certain "rock stars" of the Microbe Universe (fungi included) that produce growth stimulating "metabolites". Other mysterious physical interactions of some strains of microbes and fungi stimulate growth through specific mechanisms that are little understood. It's enough to know it happens. They feed on pathogens, eliminating them from the soil. They inhibit pathogen growth by taking up space and nutrients. 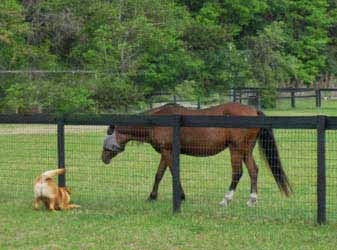 They kill pathogens or limit their growth. They prevent pathogens from accessing into the plant's roots. They strengthen and stimulate the plant's own natural defenses against disease. "Since disease prevention is infinitely easier than disease curing, having the growing medium enhanced with beneficial microbes from the get-go is important for success." It's easy to see why maintaining the beneficial microorganism population in our soils is so important. 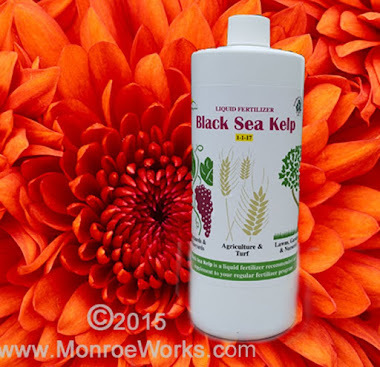 Protect the microbes you have by avoiding chemical fertilizers, pesticides and herbicides. Build up the soil by applying organic materials that are alive with microbes, like worm castings and vermi-compost. 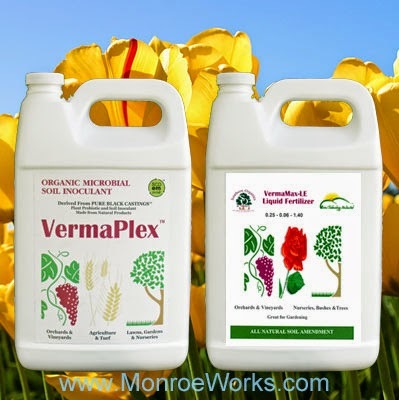 VermaPlex®, teeming with these growth enhancing, disease preventing microbes, is important in the beginning or when plants are struggling. 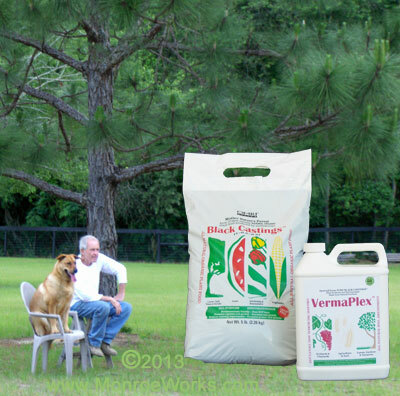 Apply VermaPlex® at seed planting and transplanting time or when plants are showing signs of disease or stress. VermaMax LE® contains extra nutrition for more growth and green. 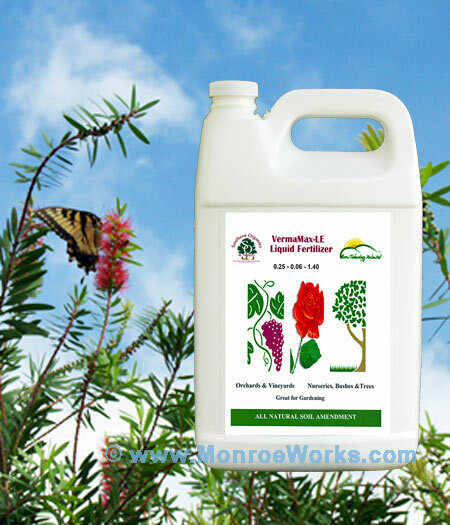 A must for high nitrogen using plants. Once plants are established, is doesn't matter which liquid is used. VermaMax LE® is available in select areas for now. A good regime is alternating liquids throughout the growing season. In our studies, micro-dosing with a very small amount at each watering brought the best results. A potent combo for enhanced growth and plant health. VermaMax LE® is available in select areas for now. What's The Best Way To Pick Citrus?